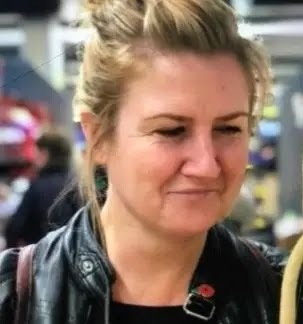 Police are appealing for information on the whereabouts of missing woman Lucy Chisholm. The 44 year old was believed to be in the Barnes Bridge area on Sunday night. Since then she has not used her bank cards or contacted friends or family. She is vulnerable, and officers are extremely concerned for her well-being. Lucy is white, around 5ft 6in tall, and of medium build with brown straight shoulder length hair, and blue eyes. Anyone who has seen heror knows where she is should call police at South West Command Unit on 101, or call Missing People on 116 000.